Premier custom home builder – Highlight Homes – is delighted to have begun construction on another stunning semi-custom home in the highly sought after Brookhaven neighborhood of Atlanta. By contracting with the builder in the earliest stages of construction, one lucky home buyer will have an opportunity to enjoy a custom construction experience and handpick virtually all of the elements that will make this amazing three-story 4,846 square foot home uniquely their own. Located at 3236 Inman Drive, the picturesque home site is set back on a winding tree-lined drive and overlooks a protected bird sanctuary – allowing for maximum natural beauty and privacy. Situated on one of the city’s most scenic streets, surrounded by multi-million dollar homes – this new construction home features the incredible 4 bedroom, 4.5 bathroom Aspen Manor floorplan. 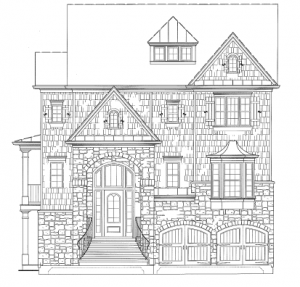 This elegant plan showcases a distinctive exterior with stone entrance and 3-car garage with carriage doors. Once inside, guests are greeted by a soaring 2-story foyer. A terrific home for the family who loves to entertain, there is an abundance of living spaces to do just that. The expansive Grand Room – which features a coffered ceiling, stacked stone fireplace and wall of windows – opens onto a sprawling veranda with outdoor hearth overlooking the private yard. 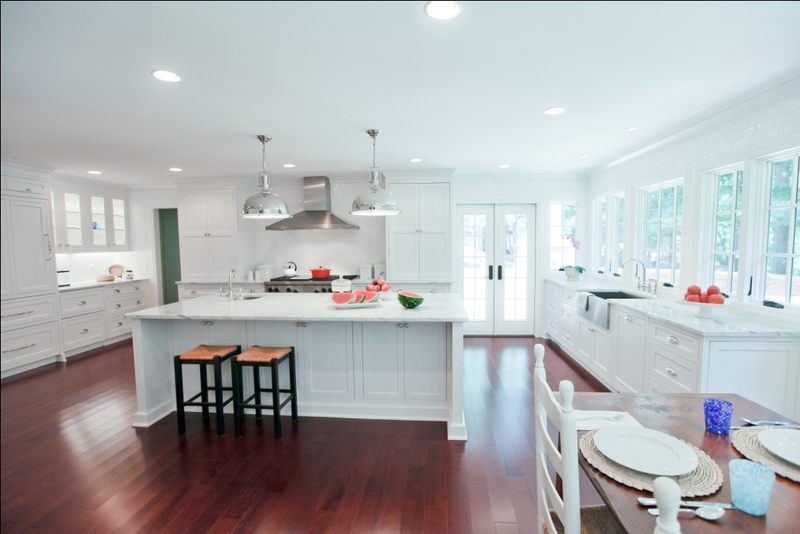 The enormous gourmet kitchen is flanked on either side by a formal dining room and bright and airy breakfast room. The main level also offers a small wine cellar for would-be wine aficionados. Just upstairs, the large master suite with fireplace, spa-inspired bath, his and her walk-in closets, sitting room, porch and adjoining master retreat encompasses more than half of the entire second story. Two spacious secondary bedrooms with Jack-and-Jill bath and a laundry room make up the rest. On the third level, a fourth bedroom with walk-in closet and full bath borders a generously proportioned flex space that can serve as a playroom, rec room or media room. This floor also features a wonderful outdoor living space that is comprised of a covered porch and rooftop terrace. This incredible home – currently priced at $1,390,000 – is poised near Peachtree Golf Club and Town Brookhaven. Just a little over one mile away from the home, Town Brookhaven is a vibrant live-work-play development that features such popular retailers as Costco and Marshalls, as well as a collection of specialty boutiques like Dress Up and Boogaloos, a Cinebistro, and a slew of great restaurants that run the gamut from Flying Bisquit Café and Lucky’s Burger & Brew to Noche and Smash Kitchen & Bar. Children living here will have an opportunity to attend Montgomery Elementary, Chamblee Middle and Chamblee Charter High Schools or the highly revered private Marist School. To learn more about this incredible property, we invite you to contact Highlight Homes’ Principal – Tony Pourhassan – at 678-873-9234. For more information about Highlight Homes – including a chance to view other custom homes and luxury renovations in their online portfolio – please visit www.highlighthomesga.com.